Maidstone test centre, like many other test centres in the UK, is based in a small industrial estate—South Park Business Village—just off Armstrong Road. Easy to find, Maidstone is the final hurdle for many learners in Kent. If you’ve decided to take your practical here, it’s certainly worth getting to know more about Maidstone and its local area. Read on for directions, pass rates, test routes and much more below. Maidstone test centre is mere minutes from the town centre and Mote Park. Its close proximity to the A229 and A249 ensures learners in Kent won’t have much difficulty getting to the centre. Not had a chance to visit Maidstone test centre yet? Use these directions to get there without a fuss. Please be aware that parking spaces are limited, so don’t arrive too early—you don’t want to get in the way of other learners on their tests. In order to ensure learner drivers are truly ready to ditch the L plates, examiners need to be able to test them on a varied selection of road types and traffic conditions—Maidstone test centre is perfectly located to provide this. 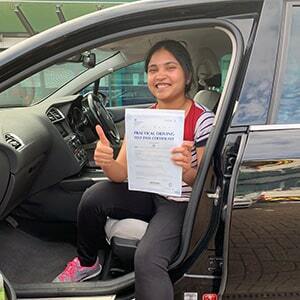 From easily-congested roads around the city centre to dual carriageways like the A229, learners will have their newfound skills put to the test in Maidstone. On the lookout for more general information about Maidstone? Take a look at the resources we’ve compiled below. 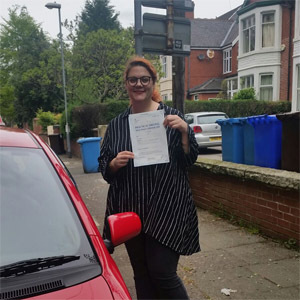 In order to prevent learners from simply memorising their test route—which goes against the entire purpose of the driving test—the DVSA stopped publishing routes. If you are keen to look at which roads are likely to show up on your test, however, you can watch videos of Maidstone test routes on YouTube or download our sample Maidstone driving test routes. If you’re taking lessons with an ADI, you’ll undoubtedly practice driving on these very roads. Pass rates at Maidstone have fluctuated above and below the national average in the last five years. Convinced the odds aren’t in your favour? Whilst this is understandable, it’s important to remember that these numbers aren’t going to affect the outcome of your test. As long as you keep a level head and remember what your instructor taught you, you’ll be fine. What If I Can’t Go To Maidstone? Fortunately, if you’re looking for an alternative or back-up option, Maidstone isn’t the only test centre available in Kent. The closest options to Maidstone are Gillingham and Sevenoaks. Once you’re back and parked up at Maidstone test centre, your practical will have officially ended. In mere minutes, the examiner will complete their feedback sheet and give you their final verdict. You’ll be handed this feedback sheet no matter what the outcome—all drivers can do with making improvements to become a safer driver, so be sure to look over it properly. If you’re successful, you can show off your test pass certificate to your friends and family. It might not feel like it at the time, but failing your driving test isn’t the end of the world. (In fact, we’d be willing to bet that it’s not a patch on these driving test horror stories!) 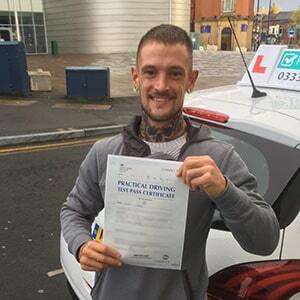 If you are truly determined to become a fully qualified driver, get additional tuition and concentrate on the areas you received driving test faults in. You might even find it useful to get your instructor to take you on a mock test. Once you’re ready to head back to Maidstone test centre, get PassMeFast to find you the perfect practical test date. To get the ball rolling, give us a bell on 0333 123 4949, or contact us online. Forget traditional hourly lessons and instead set your sights on an intensive or semi-intensive course. With a PassMeFast instructor, you’ll fit your lessons around your schedule and build up your experience until you’re ready to fly through your practical. You’ll be off on your first road trip in no time at all! You can check out what course packages are available on our course prices page or our driving courses rundown. Then, once you’re ready, you can book a course online. If you need a nudge in the right direction, you can always give us a call on 0333 123 4949 to talk it over with our sales team.